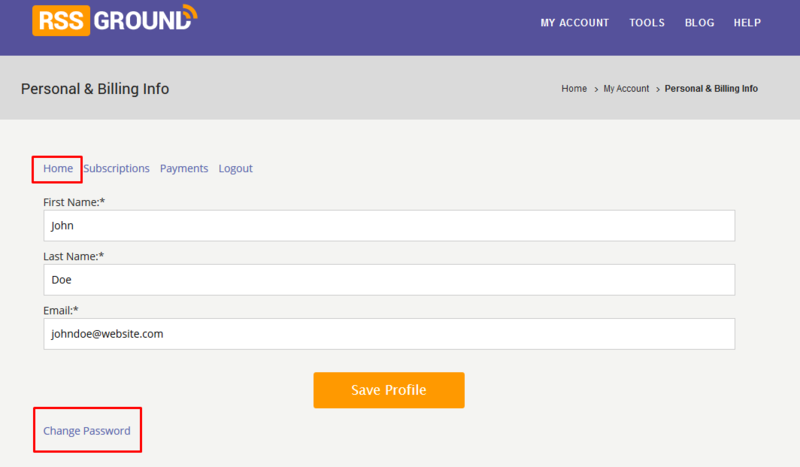 To change your password you need to go to My Account > Personal & Billing Info. In Home tab, you can change your personal information: name and email. See Change Password option below the form. Don't forget to press Save Profile after you're done. Note: we don't have access to your personal data, but sometimes we need access to your RSS Ground account when providing our technical support. We kindly ask you saving your password so you could send it to our support team upon a request. If you don't remember your password you can use "Forgot password" option on the login page.